Hours: Monday through Saturday 10-5, and Sundays 12-5 during the March 8-17 shop hop! Some shops may have extended hours beyond these listed, but these hours are promised by all nine shops! 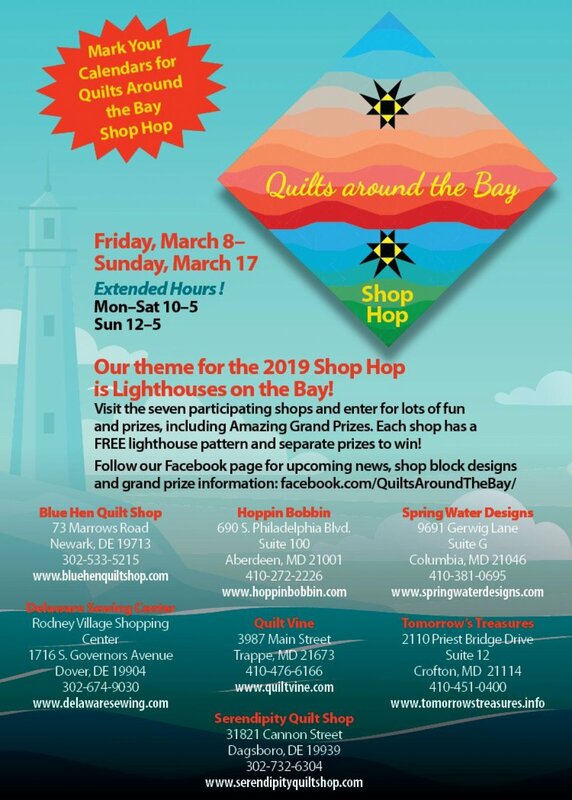 Check out the Quilts Around the Bay Facebook page for more details! Click HERE! Get the Passport you need to enter the Grand Prize drawings! 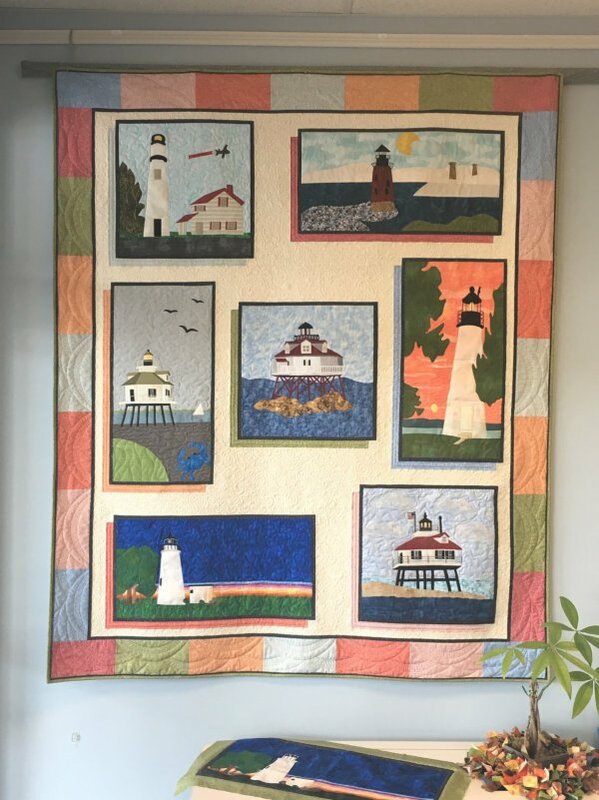 Blue Hen's finished quilt! Our block is Turkey Point, North East, Maryland!